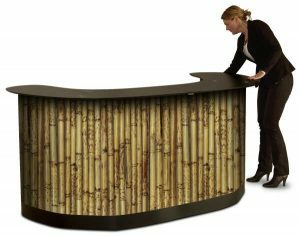 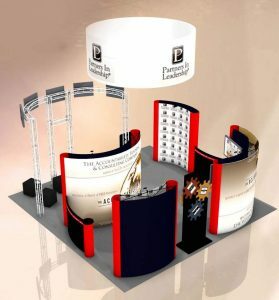 The Big Wave Pop Up provides a variety of options to meet most trade show and event needs, and at a “Best Budget Option” price. 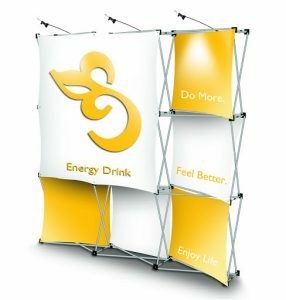 Designed to fit 10’ space increments, the Big Wave series accepts laminated graphic face panels that roll up for compact shipping. 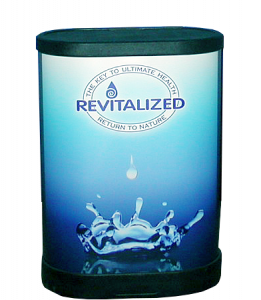 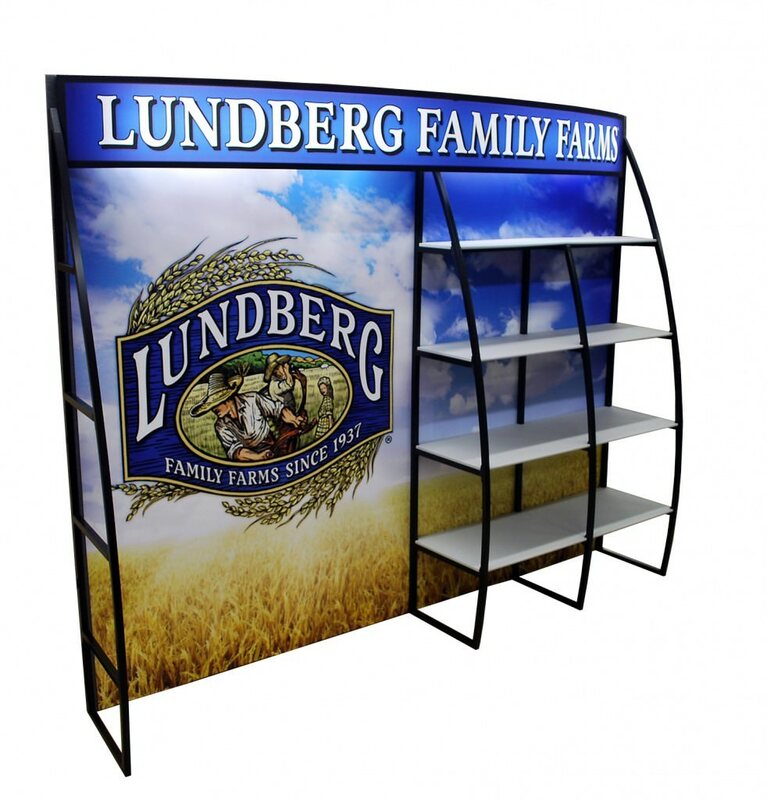 Laminated graphics offer a high quality image that is protected by the over-laminate layer. 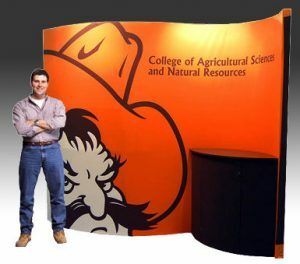 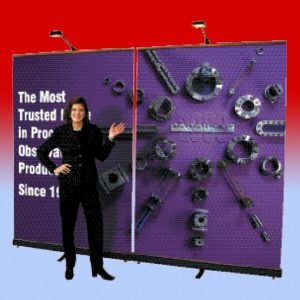 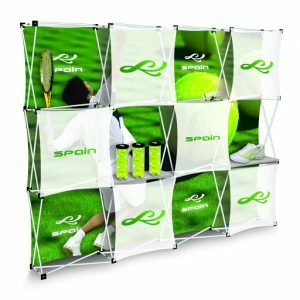 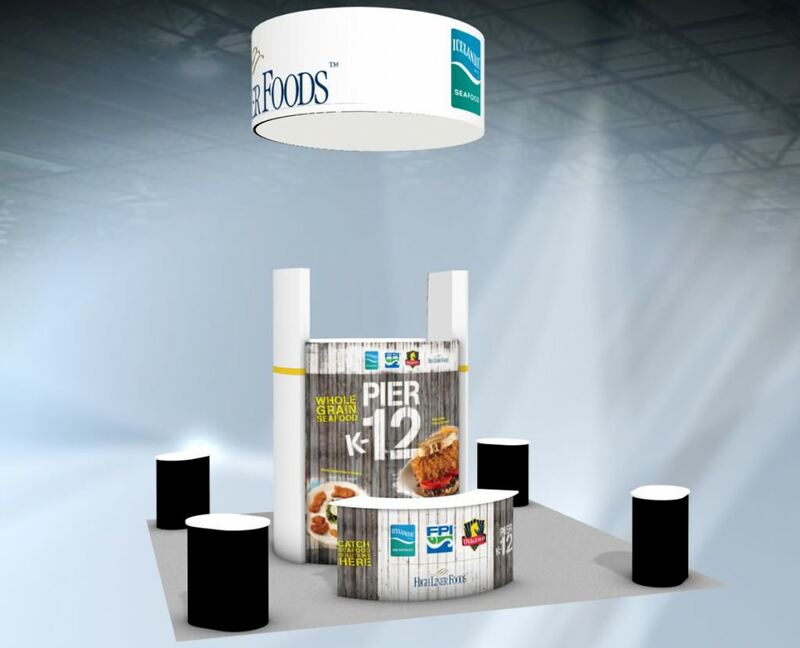 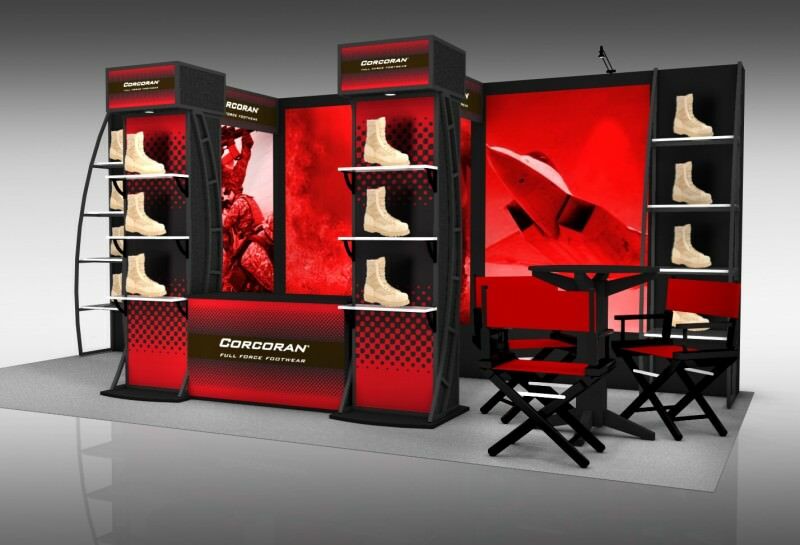 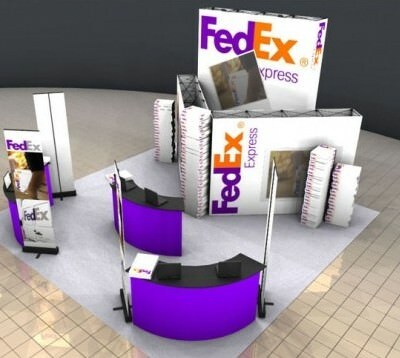 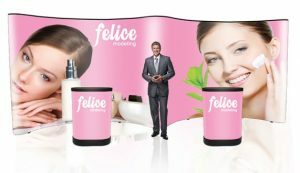 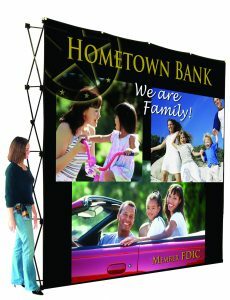 (Note that some pop-up displays are available with un-laminated graphic panels at less cost but such panels are more prone to damage and creases. 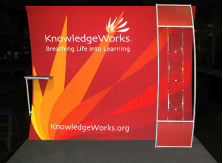 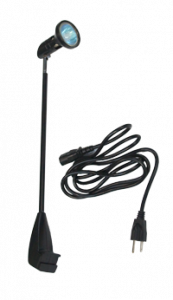 For a more customized portable, see our Eyekon Options for Customizing Portables section for ways to customize portable displays such as the Big Wave to fit your personal needs. 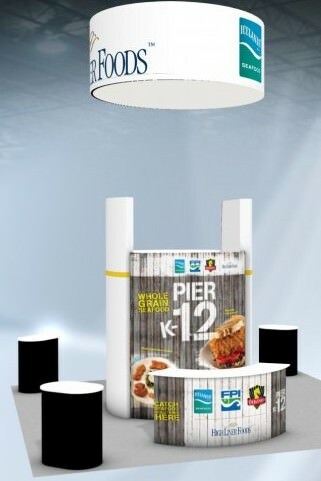 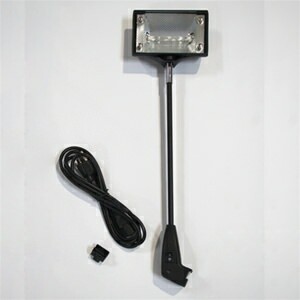 Note: The following photos of Big Wave displays show both printed end wraps and un-printed end wraps. 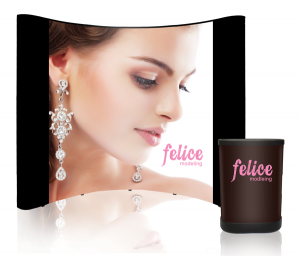 There is no additional charge for printed wraps but this treatment depends on the aspect ratio of your graphics, i.e., graphics need to lend themselves to the extra width of printed end wraps; otherwise, the end wraps will be black as shown with printed center sections.